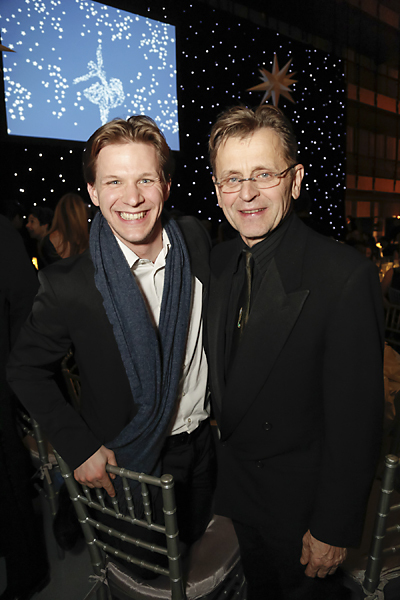 The School of American Ballet‘s 2014 Winter Ball, in celebration of SAB’s 80th Anniversary, took place at Lindon Center’s David H. Koch Theater on Monday, March 3rd, 2014 and raised more than $1.2 million for scholarships and school programs. Sponsored by legendary French jewelry Maison, Van Cleef & Arpels for the seventh consecutive year, the evening began with cocktails at 7pm and dinner at 8pm, followed by a student performance choreographed specificially for the occasion, and The Encore dessert and dancing, sponsored by fifth-generation luxury house J. Mendel. The proceeds from this event enable SAB to distribute $1.9 million annually in student scholarships as well as support the School’s renowned faculty and state-of-the-art facilities at Lincoln Center. “SAB is grateful to our sponsor Van Cleef & Arpels, our wonderful event chairs and all the generous attendees for a successful 80th Anniversary celebration, which raised over $1.2 million for the School’s scholarship and student life programs,” said Margie Van Dercook, executive director of The School of American Ballet. This glamorous annual dinner dance was attended by more than 500 patrons, including the School’s board members and alumni as well as leaders from the New York corporate and social communities. Notable attendees included: Diana DiMenna (Chairman), Julia Koch (Chairman), Serena Lese (Chairman), Noreen Ahman (Young Patron Chairman), Amanda Brotman (Young Patron Chairman), and Chelsea Zalopany (Young Patron Chairman), Sarci Kistler and Peter Martins, Sterling Hyltin, Maria Kowroski, Ask la Cour, Jock Soto, Daniel Ulbricht, Wendy Whelan, Linda and Edward Villella, Mikhal Baryshnikov & Lisa Rinehart, Fe Fendi, Olivia Flatto, Maggy Frances, Stephen L. Greeb, Martin Harvey, Julie Henderson, David Koch, Frederick R. Koch, Alexandra Lebenthal, Ed Lewis, Gilles Mendel, Teresa Moore, Dailey and Gordon Pettee, Bettina Prentice, Ilona Quasha, Kelly Rutherford, Jean Shafiroff, Timo Weiland, Laura and Will Zeckendorf. This year’s event was themed a Starry Night to celebrate SAB’s 80 years of dedication to the field of ballet. Ron Wendt Design created an enchanting celestial atmosphere of silver and white. A highlight of the evening was a one-time-only performance by students of The School of American Ballet choreographed by Silas Farley, who was selected by Peter Martins, Artistic Director and Chairman of Faculty for the School of American Ballet, for the second consecutive year. “I was thrilled with Silas Farley’s choreography again this year. What a delight it has been to share both Silas’ achievements as a dance-maker and the wonderful dancing of our young students with the School’s supporters at the Winter Ball,” said Mr. Martins. Internationally renowned luxury house, J. Mendel, sponsored the Winter Ball after-party, The Encore. 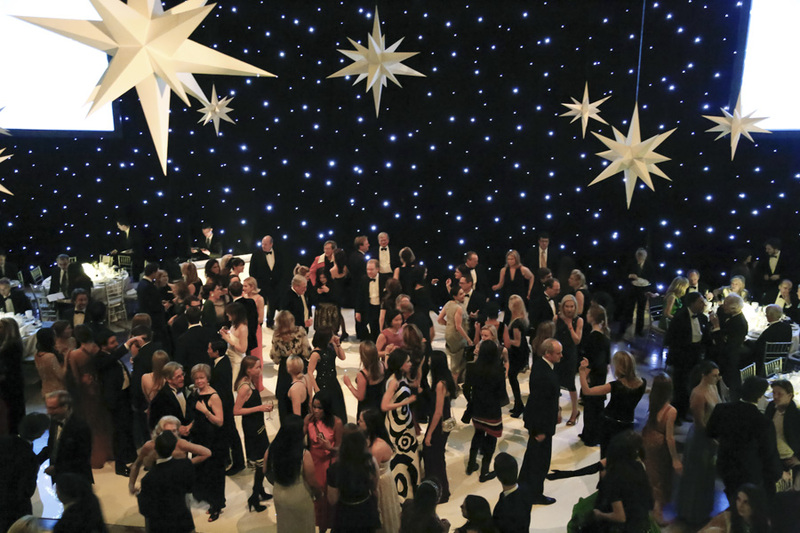 Following dinner, 200 of the city’s most sophisticated philanthropic young professionals joined the Winter Ball for a night of dancing and dessert. This sponsorship signifies a continuation of J. Mendel’s direct association with the ballet, since Gilles Mendel, designer and fifth-generation member of the house his Franco-Russian ancestors founded in 1870, created costumes for two original New York City Ballet productions. The most recent of these, “Mes Oiseaux”, was choreographed by NYCB Ballet Master in Chief and SAB Artistic Director, Peter Martins, and debuted at the NYCB Spring Gala in 2012. Epoch Estate Wines’, a small-production vintner dedicated to crafting wines from its estate vineyards on the west side of the acclaimed Paso Robles wine region, were donated to the event and were paired beautifully with the culinary creations of Glorious Food. The event was led by Chairmen Diana DiMenna, Julia Koch, and Serena Lese; and Young Patron Chairmen Noreen Ahmad, Amanda Brotman and Chelsea Zalopany.